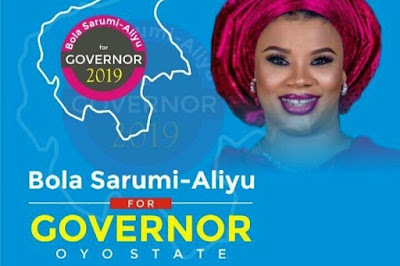 A female politician in Oyo State, Bolanle Sarumi Aliyu, has declared interest in the 2019 governorship election in the state. She made the declaration at a pro-democracy event organised by her foundation at the Sultan Bello Hall of the University of Ibadan. She said the full and equitable participation of Nigerian women in public life is essential in building and sustaining strong and vibrant democracy. Sarumi Aliyu pointed out that Nigerian women’s participation in politics will advance gender equality, girl child education and help solve other issues bedeviling the Nigerian female child. 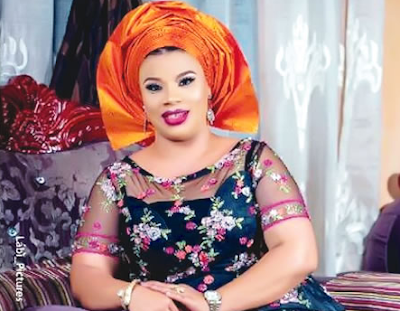 According to her, she is ready to set the pace that will invigorate the Nigerian woman with a change of mindset that will end the era of women taking the back seat in politics. ‘Women of great vision and capacity from all over the world and indeed Africa have realised and have begun to take their rightful places as leaders. In Rwanda, my sisters and mothers currently occupy about 64% of the country’s parliament. I am therefore setting myself as a pacesetter in the ‘pace setting state’ called Oyo State. My vision to govern Oyo state is not just a mere aspiration to have a woman in the highest Office in the State but a call to serve my people,‘ she noted.